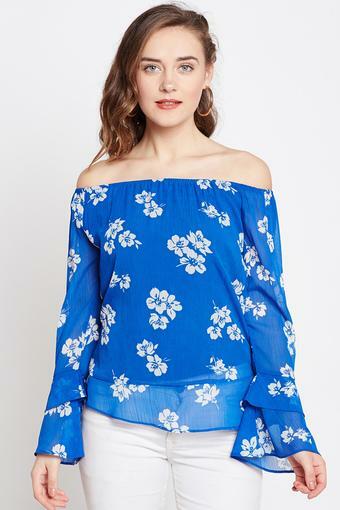 Get dapper looks with this top from Marie Claire. Made of polyester fabric, this top is also extremely soft against the skin. Featuring a off shoulder neck, full sleeves and printed pattern, this top boasts of enticing urbanity. 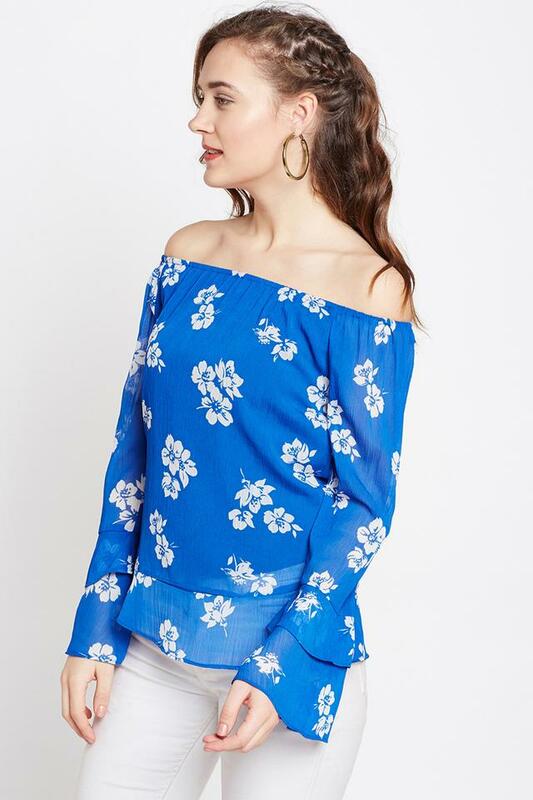 Inspire chic finesse in your casual line-up with this top. 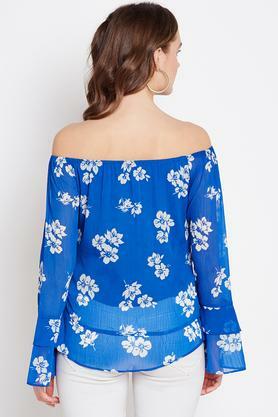 Make heads turn by teaming this top with a pair of jeggings and stilettos.